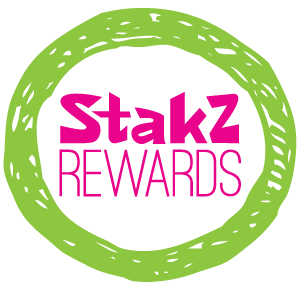 Join Stakz Rewards program—it’s cardless and so easy. To activate your account simply provide a phone number at check out, this will be your P.I.N. Each time you visit we will enter this P.I.N and your purchases will be tracked automatically in our system. For every ten Stakz frozen yogurts purchased , you will receive one 10 oz frozen yougurt FREE. Additionally, you will receive a text one or twice a month with exclusive offers or discounts. 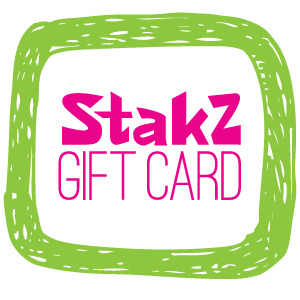 For kids, family, friends, teachers, coaches—whomever you want to treat—Stakz gift cards come festively packaged and ready for gifting—a gift that will actually be used and enjoyed!